It may have been billed as an ode to the 20th Century Russian masters, but the West Australian Symphony Orchestra’s ‘Russian Masterworks’ was a cosmopolitan event, with one of Australia’s leading orchestras welcoming American conductor Karina Canellakis and Berlin-based Chinese violinist Ning Feng in their WASO debuts. Normally geared towards German Romanticism, WASO’s exciting Russian program explored the music of both Prokofiev and Shostakovich. Though not unknown, Prokofiev’s Violin Concerto No. 2 and Shostakovich’s Symphony No. 8 are united in that they are often overshadowed by their predecessors; Prokofiev’s first Violin Concerto, and Shostakovich’s Leningrad Symphony. Showcasing these two works, as well as the work of Canellakis, Feng and WASO, made for a colourful and thought-provoking evening of Soviet-era Russian music. Prokofiev’s Second Violin Concerto was composed whilst the composer was on a concert tour with the French violinist Robert Soetens and premiered in Madrid in 1935. The playing by both Feng and WASO under Canellakis’ baton was first-rate, with intuition and sensitivity pervading every turn of Prokofiev’s score. Feng’s opening statement, a sombre solo melody, was imbued with a beauty of sound and evocative phrasing that continued throughout the concerto. The beginning of the second movement, for instance, was simultaneously delicate and emotional, with Feng’s musicianship on full display. Though the technical passages in this concerto are given less importance than the melodic lyricism of the work, Feng’s technical skill was a thrilling spectacle, particularly the gritty, spiky solo passages of the third movement. Throughout the work, WASO appeared to delight in the colour of Prokofiev’s score, and the wind solos, particularly those of guest principal clarinet Andrew Seymour, complemented the soloist immensely. Aside from the few, fleeting balance issues, Canellakis preserved the textural clarity of the work, allowing Feng to shine through when appropriate, yet making space for him to be absorbed into the orchestra when the score demanded it. This concerto is one of my personal favourites, and Feng (as well as Canellakis and the orchestra) masterfully reinforced my love for the work. Composed in 1943, Shostakovich’s Eighth Symphony is noted for its sombre mood, its rejection of conventional symphonic form, and its subversion of the traditional C minor ‘hero’s journey’ symphony (such as those of Beethoven and Mahler.) Rather than the individual triumphing and turning C minor into C Major, Shostakovich’s Symphony No. 8 laments the lack of triumph and glory during the war. 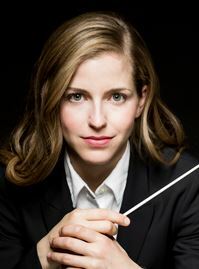 Canellakis guided the orchestra through each stage of the allegorical wartime struggle; her conducting so full of huge gestures that it was easy to imagine the markings on her score. Where Prokofiev’s concerto denoted different colours, Shostakovich’s score was infused with different moods, from the unsettling warmth of the opening string figures to sarcastic militarism and the misery of the solo wind passages. That Canellakis and WASO were able to preserve and explore each mood is a testament to not only their skill, but their artistic collaboration. Though there were many solos worth mentioning, Leanne Glover’s cor anglais solo captured all the suffering of an individual caught in a horrific historical period, contemplative and mournful. Shostakovich’s moody, dark and contemplative Eighth Symphony proved the perfect foil to the colour and energy of Prokofiev’s Second Violin Concerto. 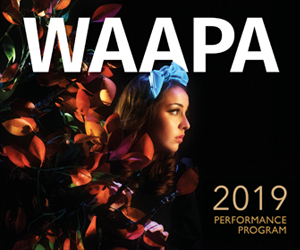 Delving into two very different works in the Soviet music tradition made for an engaging night of music, not just for the impeccable performances, but for the historical and social significance of the era captured by the music performed.